Emilio Murillo, a senior at Florida State University. 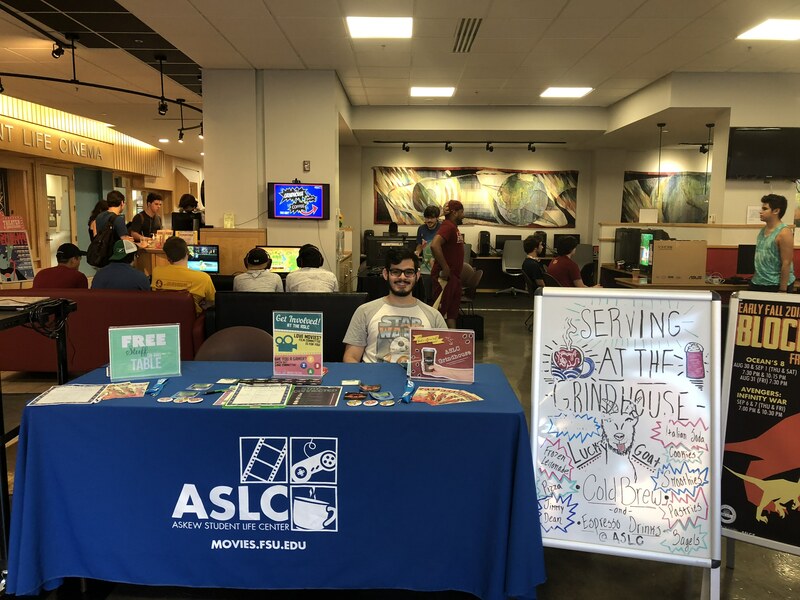 The Tallahassee Smash League and the Tallahassee Fighting Community held their biweekly tournaments Thursday at the Askew Student Life Center on Florida State University’s campus. At the tournament, there were people from Florida A&M University, TCC, FSU and members of the local gaming community. Members of the gaming committee helped set up this event. They share this event with the Tallahassee fighting committee and the Tallahassee Smash League because they are professional gamers. This is a free venue for them to practice while networking with other gamers. In addition, as people were entering the building the Super Smash Bros tournaments started at 6:30 p.m. Smiles filled the faces of the staff as more people came in. Most game commuters were already there and some came from class to this event just to have a good time. This bi-weekly event is free for the public and for students. Individuals in these professional leagues are competitive but great sportsmanship was on display. Members of ASLC like working with TFC and TSL because these tournaments bring collegiate and non-collegiate individuals together. Game commuters come to the Thursday throwdown to compete against each other for fun. They bring fighting tournaments such as Smash Bros Melee, Wii U, and Rivals of Aether. There were other free games to play like Street Fighter 2, BlazBlue, Injustice, and Arms. “It's really a causal social. I like video games and I want to do communications related to it, so I do a lot of advertising for the event,” said game committee chair Amanda Rivera. Some of the game commuters said that they enjoyed another biweekly “Thursday Throwdown.” Students were also able to rent games. And the winner receives free popcorn.